​The "Band of Brothers" is designed to help men form positive encouragement and support among other Christian men. "As iron sharpens iron, so a man sharpens the countenance of his friend" (Proverbs 27:17). The strength of our association with other men help us become better while we are helping someone else. Band of Brothers is an open group and all men are encouraged to bring other friends to our events. These times together build greater friendships and allow men to reach out to others who may have needs that are difficult to talk about. Through the bonds of friendship we are able to trust one another and provide accountability and encouragement to grow in our relationships with God and with others. All events are promoted on our LifeChurch - Gilbert, AZ Facebook page, or request to join the Band of Brothers Facebook group! The much anticipated and long awaited camping trip is just around the corner. The dates are August 18-19. We will be camping on the Mogollon Rim off the 512 Rd. (better known as Young road). Come up early on Thursday if you can make it, but definitely plan to join us Friday and stay over for Saturday. If you do not wish to camp out motel rooms are available in Payson or Heber. It is about 30 miles from Payson off of State Highway 260 or about the same to Heber east of the campsite. Each person will be responsible for his own shelter (tent, camper, etc.) Bring your own fishing tackle or whatever outdoor activity you want to do. Horseshoes will be provided. There are two lakes nearby and a creek that is not far from the camping area. 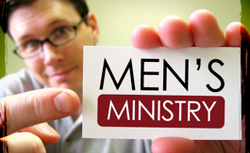 Brian Logsdon, men's leader, will have a sign up sheet for food and shared supplies that will be needed. Come and bring your sons.